Its been a while since I have last updated on May! So here is our 16- almost 17 month update! Wow almost 1 ½ years Old!! She loves hoarding tons of food in her mouth. 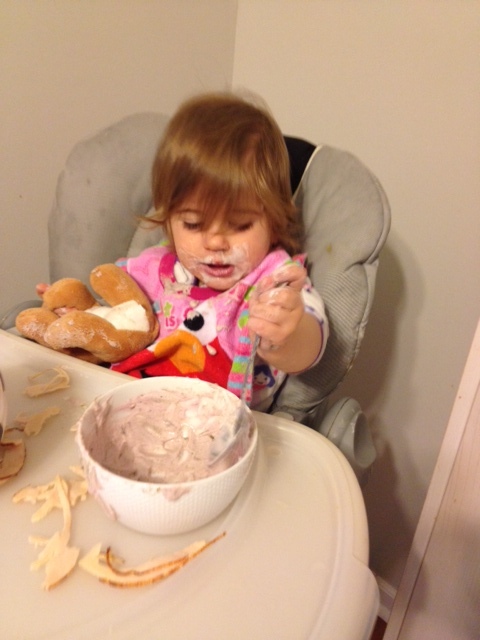 If I give her something she loves she will stuff as much of it in her mouth at once. And keep it in there for long periods of time. It’s Lovely…. As soon as I brush my teeth she wants to brush hers. And then will carry it around with her for the next 30 minutes and who knows where the toothbrush ends up? Think I need to buy her a new one! 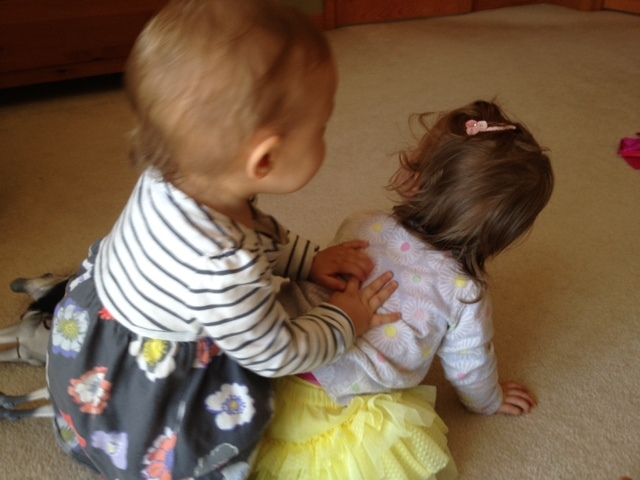 CECE loves hugging and kissing May! She is so affectionate to her! Giving her tons of hugs! I’ve noticed recently her independence has definitely changed quite a bit in her ability to entertain and play with herself. Sometimes when she is quiet it used to mean “oh no what is she into” and now it is that she is happily playing or reading a book. 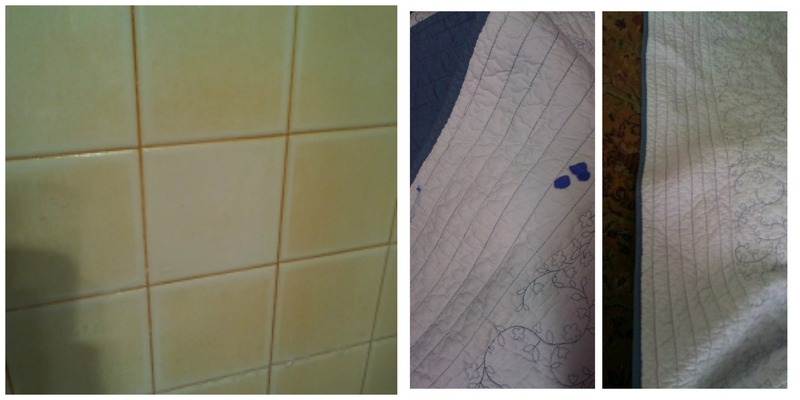 (She still gets into things- but its different). Food wise she continues to LOVE FRUIT. She is starting to like foods again that she wouldn’t touch around 1 year again so I’m loving that- broccoli and tomatoes being some of them! I just keep offering food over and over again and some days she loves it other days she doesn’t want it. You can all see her hair is continuing to grow like crazy! She has started to LOVE stuffed animals and carrying around them everywhere. Her favorites are this stuffed animal dog she got in Florida, talking Elmo, and this tiny horse and cat from her barn toys from Sara and Steve for Christmas. 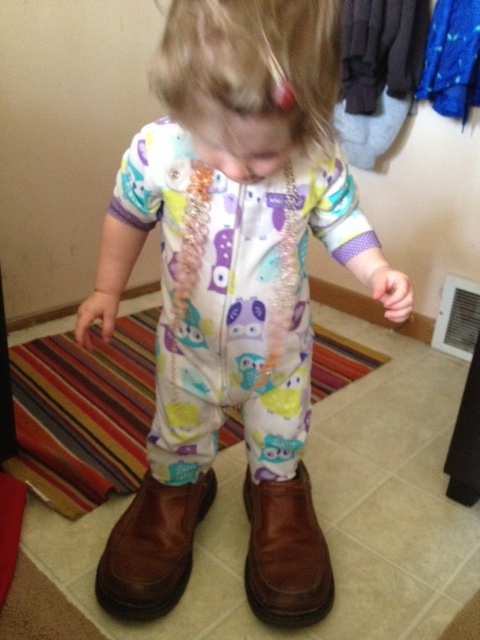 Sara- she carries these around with her everywhere! She is really understanding how to use a phone. We were recently facetiming with Sam and May proceeded to take the phone away from me and start talking with Sam in complete gibberish. She went on and on “baheheha aseahe abekake” talking away. It was adorable. However she also likes to “End” calls on facetime as well so we are still working on not hanging up on people. She loves going on long walks. She once walked ½ mile with my mom! Crazy huh? 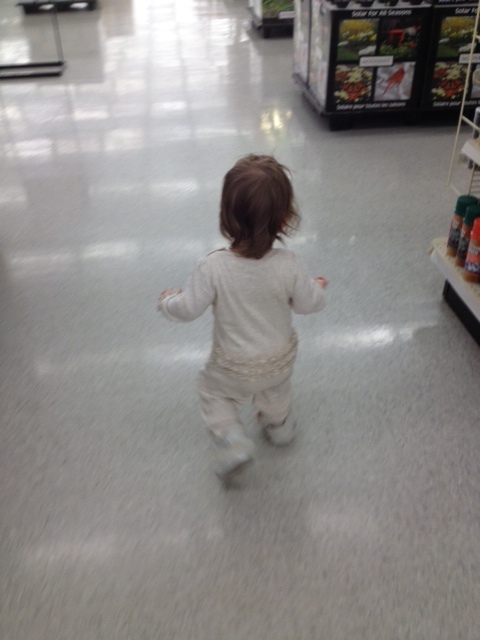 When we go to a store she loves getting down and exploring everywhere! Sam and her occasionally go to the Y together when I have to work, and she will walk around the track there several times! 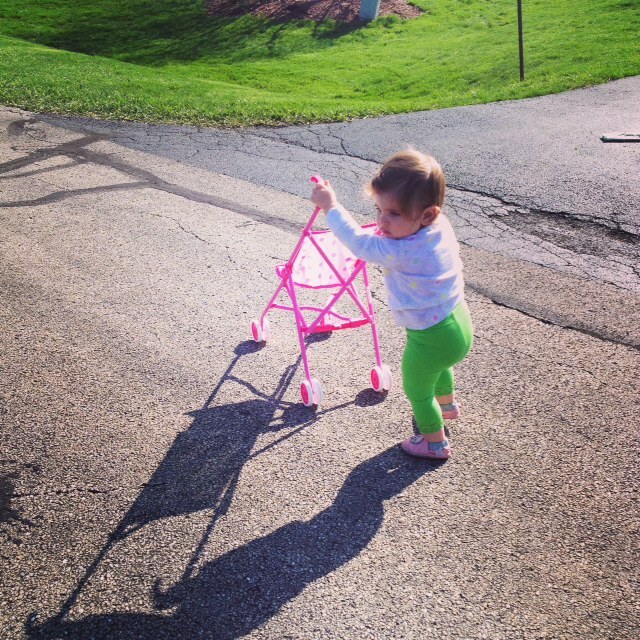 And she loves pushing her stroller. 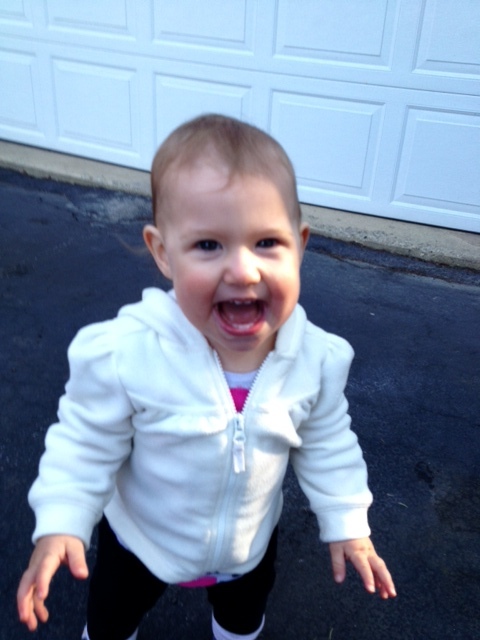 SHE LOVES LOVES LOVES being outside. 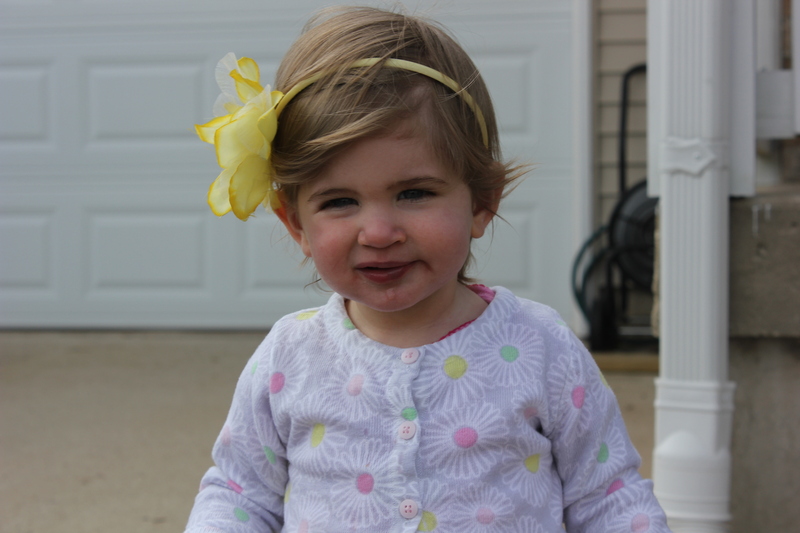 In fact it is extremely difficult to get her to come back in the house after we are outside without either many tears or some screaming. 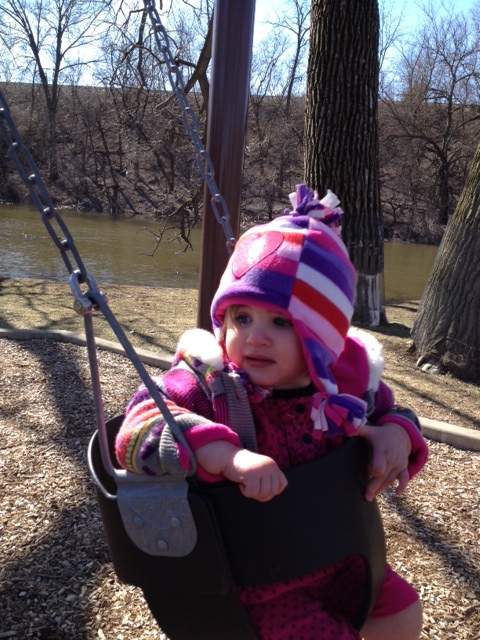 Oh and walking with her is very hard when our neighborhood has so many swings. 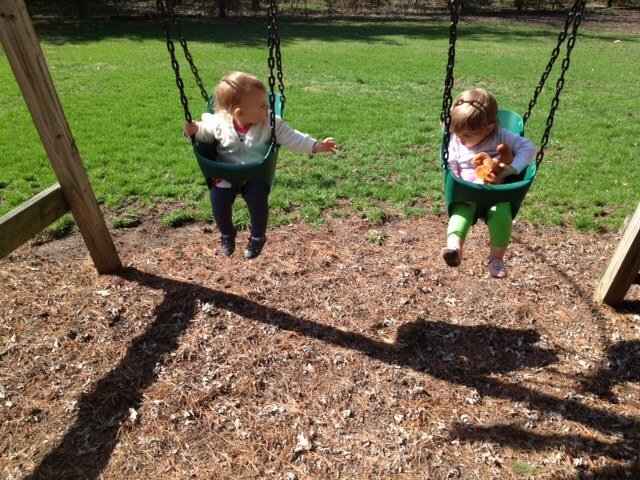 She points out each swing and wants to go on them! 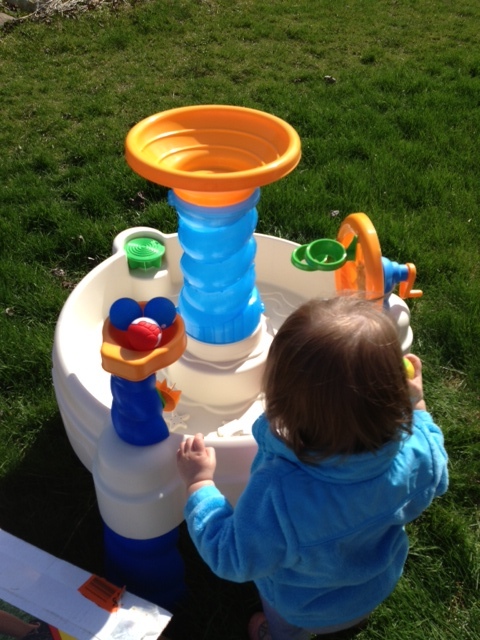 Lauren was clever and bough her this water table for her birthday! It was nice to get some summer things with her birthday and Christmas both being in the winter. Thanks Laur! Her new favorite obsession is Elmo. 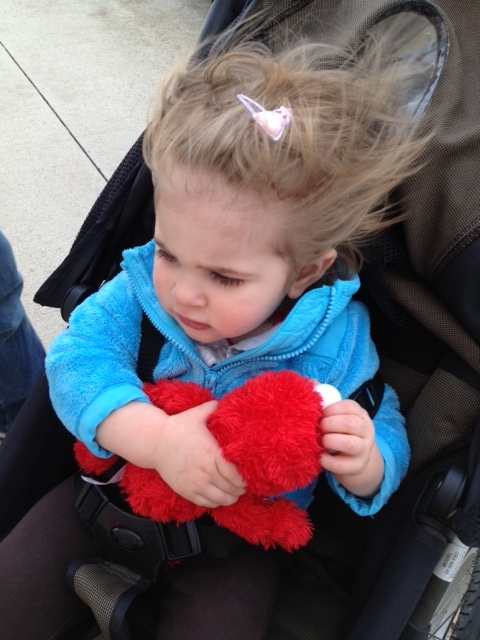 She has this little elmo that we got at a resale that she carries around with her everywhere. If you push back the head it talks- kind of creepy. She loves calling elmo, “mel mo.” Best $2 spent. 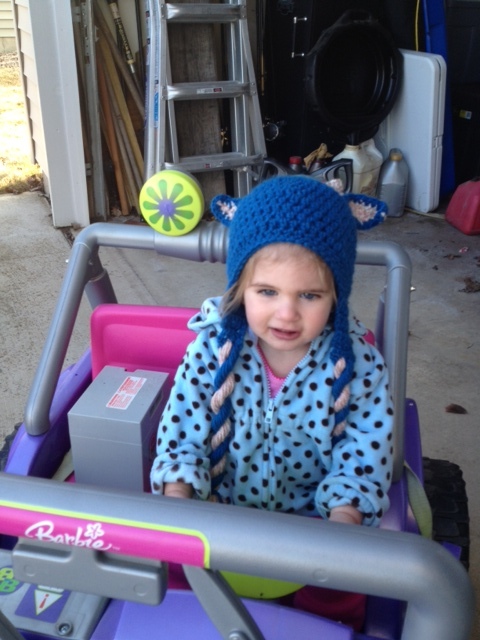 She can count a little and say a few ABC’s. 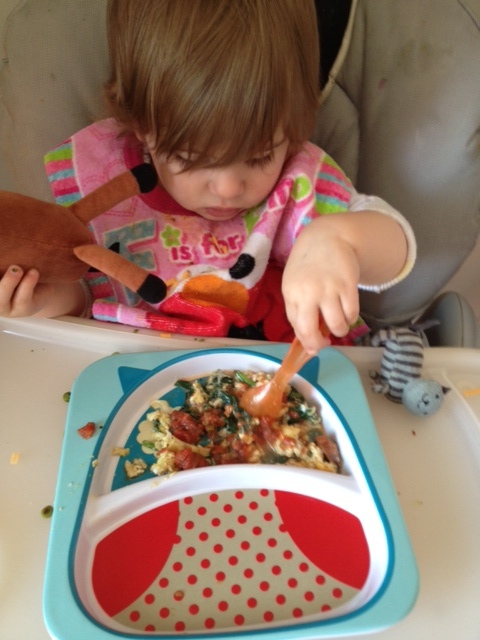 My favorite new word she says is “salsa.” She will also say “amen” whenever she eats something she really loves. bahah cracks me up. I can tell she has gotten taller because things on tables she can now reach that are quite high- I had a yogurt container on the kitchen counter thinking it was out of her reach and she grabbed it! 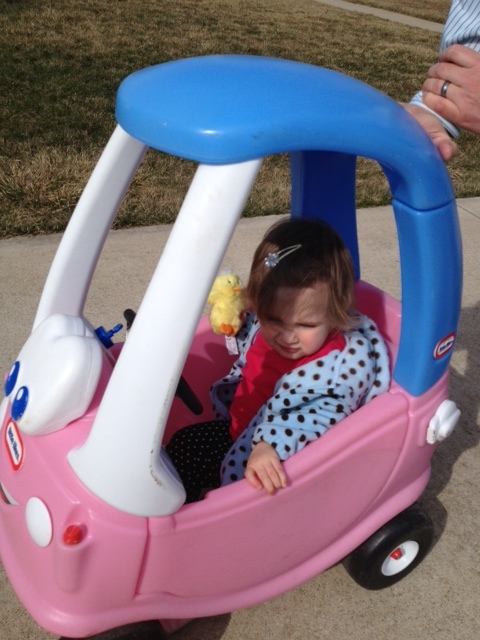 She had her last Doctor appointment at 15 months and the Doctor noticed a huge growth spurt- putting her in the 80%! 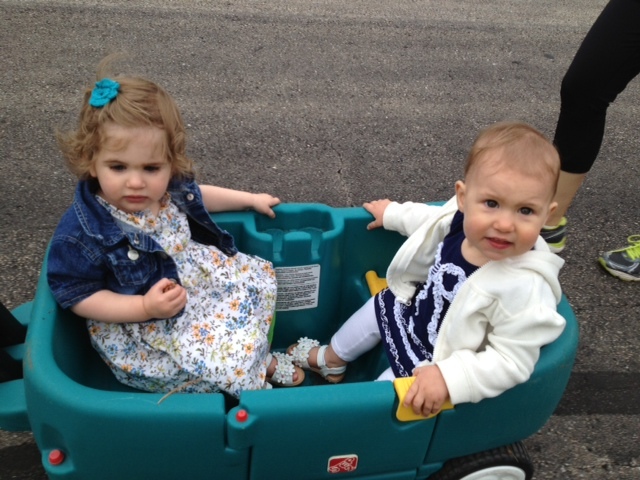 Very excited for this summer- lots of walks, pool, trips to parks/zoos, and special trips planned! 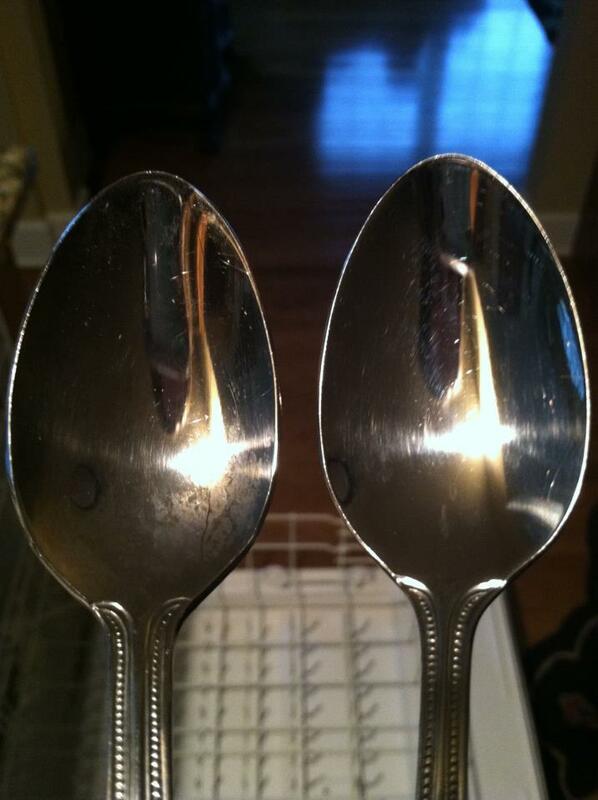 And of course we all know that I love garage sale season! 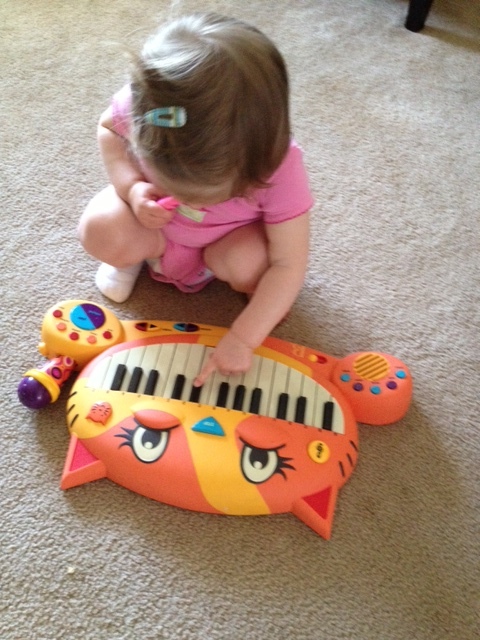 So far we have scored some clothes, toys, this piano she loved, the crazy coupe above, and some books! *In 1960, following the founder’s dictum to “follow the laws of nature and you’ll never go wrong,” Shaklee introduced Basic-H, one of the first nontoxic, biodegradable household cleaners. It is highly concentrated, so it requires far less packaging than rival products. *In the 1970s, Shaklee removed phosphates from its laundry detergents, even as other manufacturers fought state and local bans on the chemicals. Many detergents today still contain phosphates, which can lead to buildup of foul-smelling algae in lakes and rivers. *In 2000, before General Electric (Charts, Fortune 500) created “Ecomagination” or Wal-Mart (Charts, Fortune 500) embraced sustainability, Shaklee went “carbon neutral” and offset its greenhouse gas emissions. The company built windmills and solar panels to generate emissions-free energy. *On a more global scale, Shaklee is partners with the 2004 Nobel Peace laureate, Dr. Wangari Maathai, and her grass roots group, called the Green Belt Movement. The company is backing her efforts to plant 1 billion trees around the world, using its distributors to spread the word. More than half of the company’s distributors work outside the United States, most in Asia. Our cleaners play a huge role in our health. We touch, breath in, ingest (from our dishes), and absorb them into our bodies from our clothing (see this link for additional info) Cleaners have been linked to allergies, asthma, cancer and other serious effects. Here are some of my favorite pictures showing they really do work well! 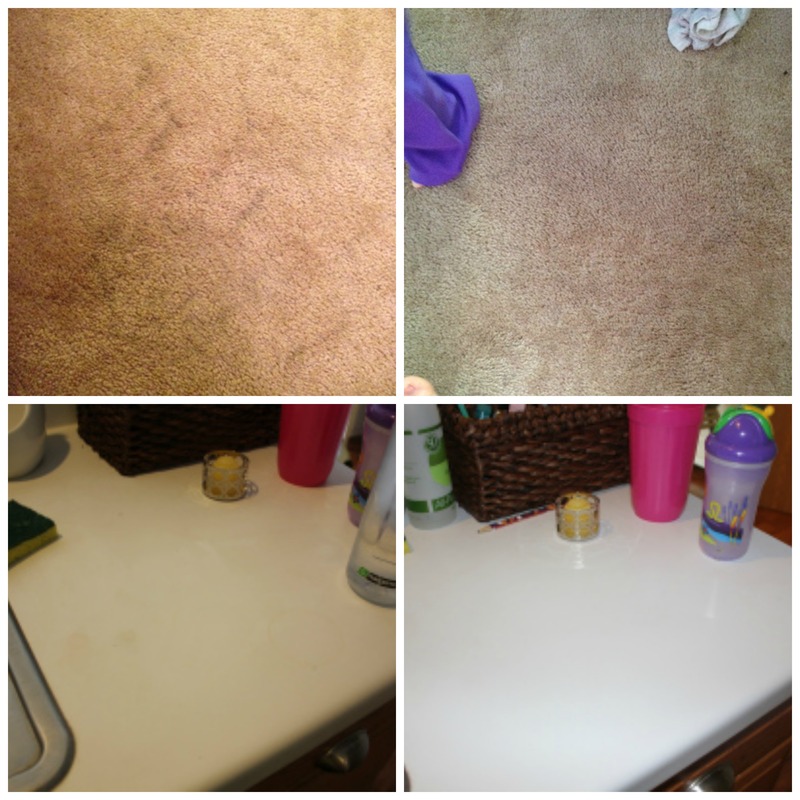 When you buy a Get Clean Kit you would spend $3400 for ready to use cleaners to get the same amount of clean found in the Get Clean Starter Kit! And when you purchase this kit, you also make a positive impact on the planet: Keeping 108 pounds of packaging waste from landfills and eliminating 248 pounds of greenhouse gas!! 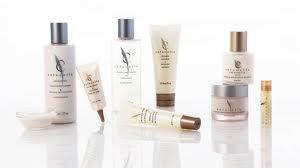 If you are currently not a member and place any 50PV order, JOIN FREE TODAY ($19.95 value)!!! Membership gives you 15-25% off all products for life! Place a 100PV order and receive FREE Laundry Concentrate!! Free Shipping from Shaklee ends tonight! 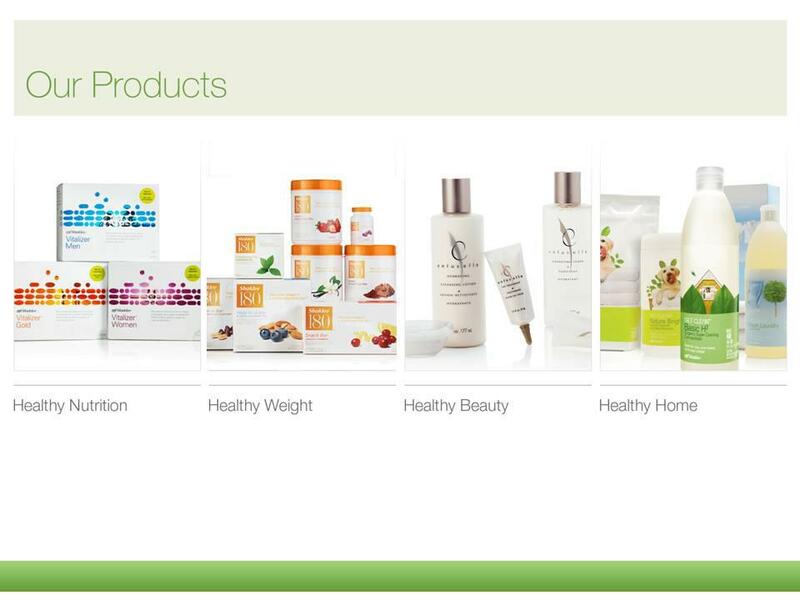 If you have ever wanted to try one of the 4 product lines Shaklee has to offer now is the time! Shaklee is offering FREE SHIPPING until tonight! 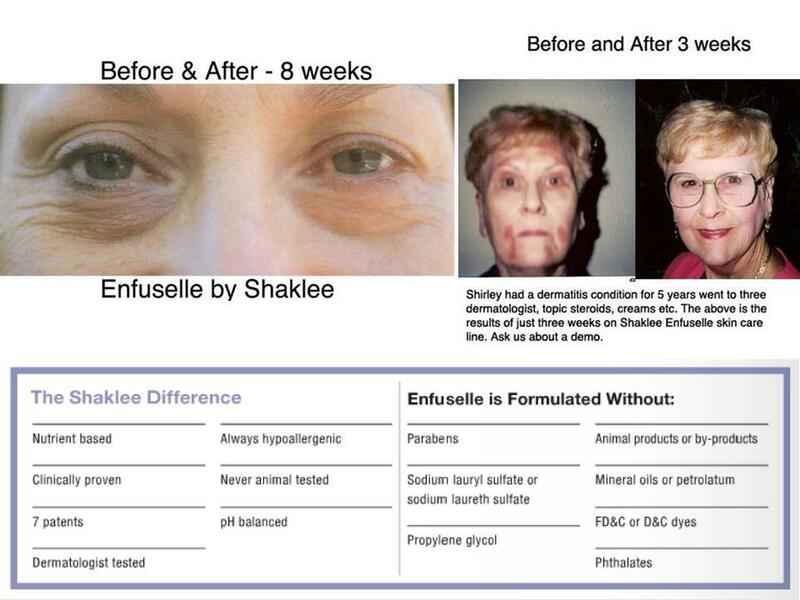 To read more about Shaklee’s nutrition line check out this post. 1. 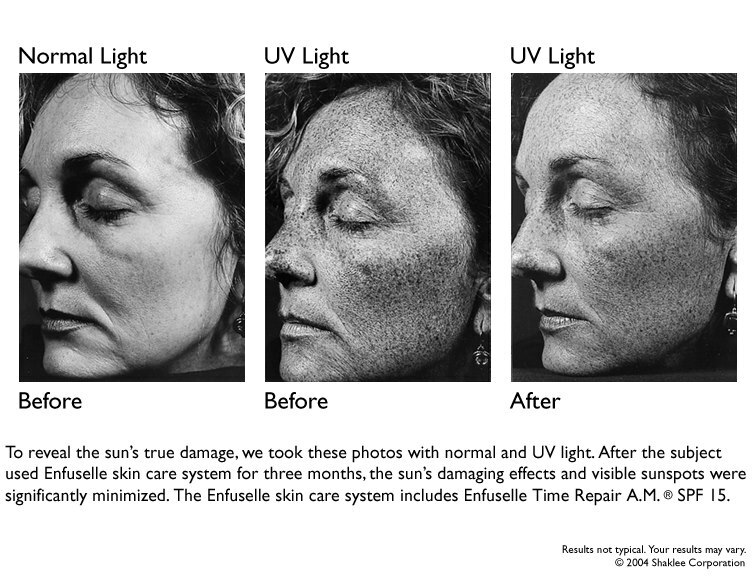 There are no synthetic chemicals, binders, fillers or anything else that can not be used by our body. Also, Shaklee does 350 tests on each raw ingredient used in its products for pesticides, heavy metals, fungicides and any other harmful substance to ensure their products are safe. 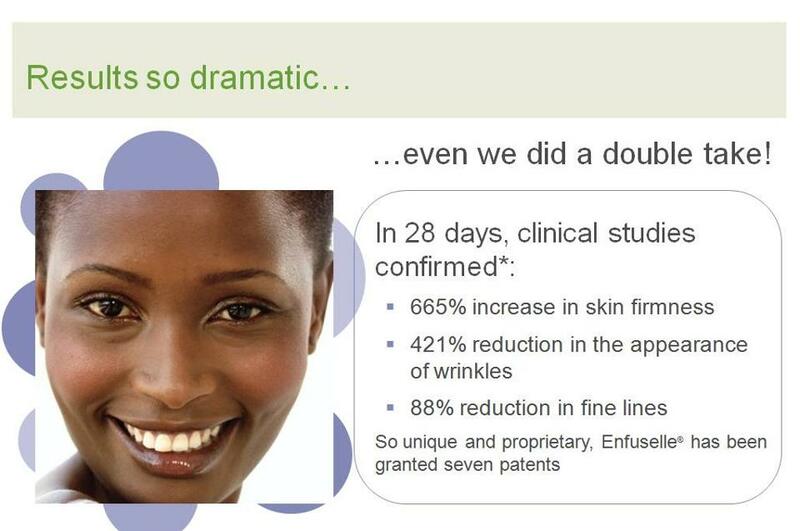 Overall, Shaklee conducts 80,000 quality tests every year. And none of those tests are on animals. 3. They are bioavailable- (did you know many vitamins don’t get absorb into our bodies?) 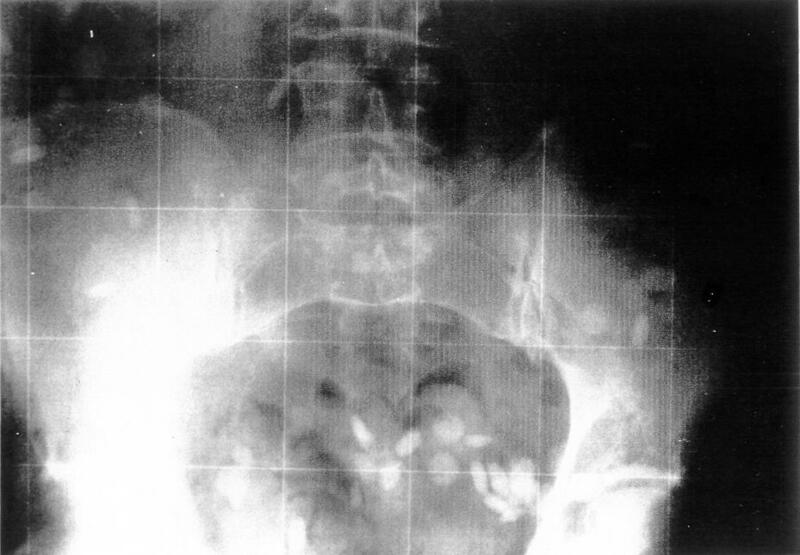 Just check out this x-ray for proof! Shaklee has a special S.M.A.R.T. system to ensure your body breaks down and uses the nutrients it needs! We have a variety of supplements ranging from childrens to prenatal vitamins. Some really great Stress relief products, digestion, and heart health. I was just chatting with my cousin about how amazing our Sports Line is- great for working out and recovery! Join us in doing a 180 in their health. Whether you are looking to lose a few pounds or a hundred- this program is for you! Check out this video for me info. 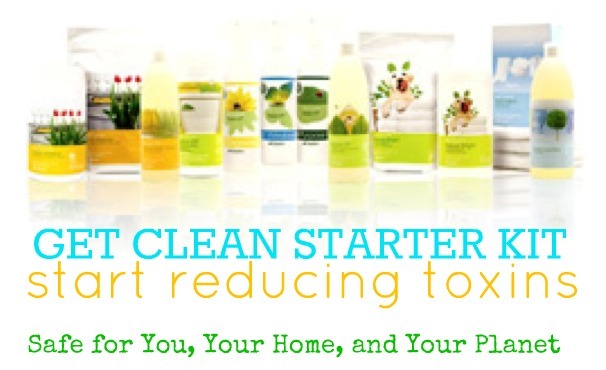 Shaklee cleaning products are all non-toxic (safe for your precious family), work better than many leading brands, and save you $200 a year from how concentrated and long they last. Whether you are looking to change your dish soap or detergent (some of the most toxic chemicals in your kitchen that your family ingests everyday from the plates they eat off of), laundry detergent, Basic H (it does cleans pretty much anything! ), or amazing water filter! I do not highlight their beauty line enough. 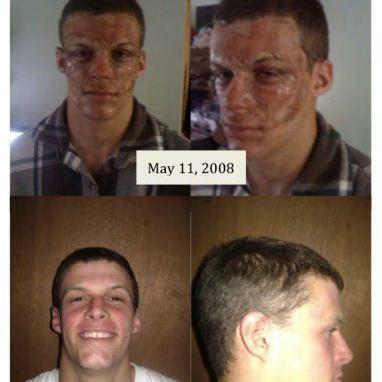 There products have helped people become blemish free, have softer skin, and even helped this burn victim. Give your skin the nutrient it needs. I have loved using the skin care line and my skin has never felt so soft and NOT DRY this winter! 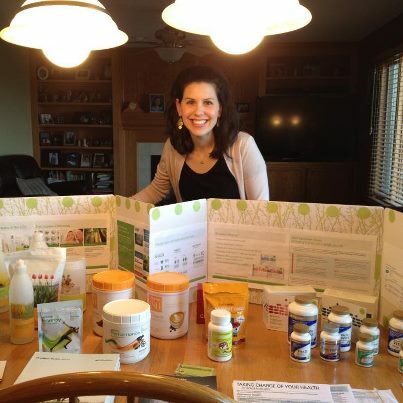 Monday, April 15th, 7pm, Saint Charles (west – near Campton Hills) – Shaklee 180 Event. Whether you need to lose a significant amount of weight or are just looking to maintain a healthy diet, Shaklee 180 can help! Shaklee 180 is the safest, most effective, and cost-efficient weight management system on the market. Come to this event to learn more and sample some of the Shaklee 180 products! 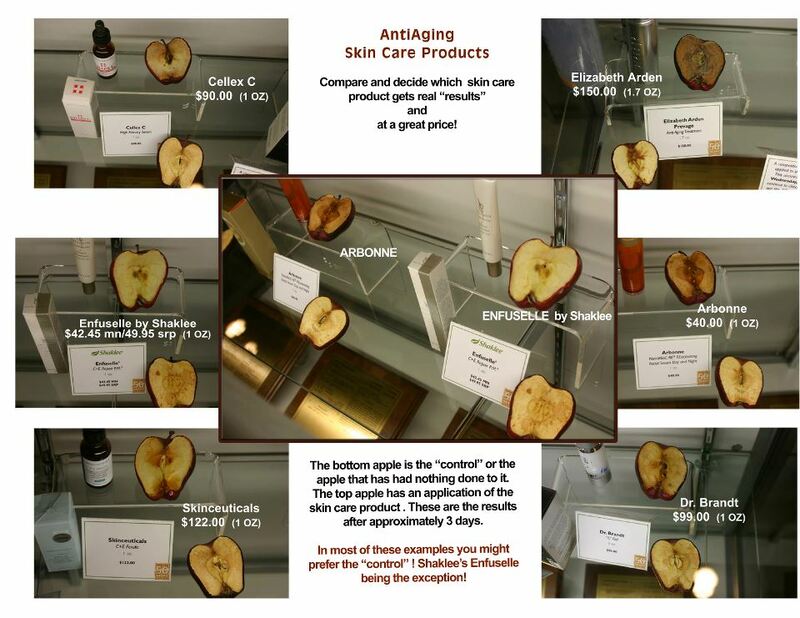 Saturday, April 20th, 9:30am, Saint Charles (near downtown Saint Charles) – Health Beauty Event. 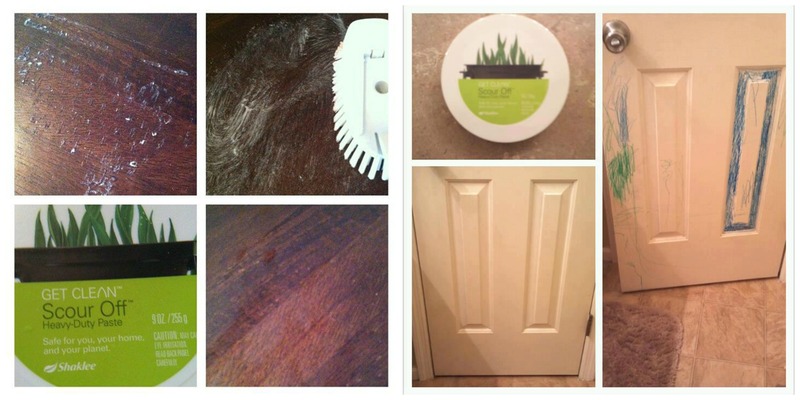 Everyone wants glowing, blemish-free skin and thick silky hair! Or perhaps your skin/scalp needs some relief from the dry harsh winter! Come to this event to learn natural beauty solutions for common ailments such as dry skin, acne, wrinkles, lifeless locks, thinning hair, etc. Antioxidant-packed dark chocolate will most definitely be served. 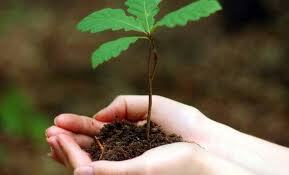 Monday, April 22nd, 9:30am, Maple Park – Earth Day Event. Learn more about eco-friendly products that won’t break the bank, such as green cleaning supplies, organic supplements, and more! (P.S. 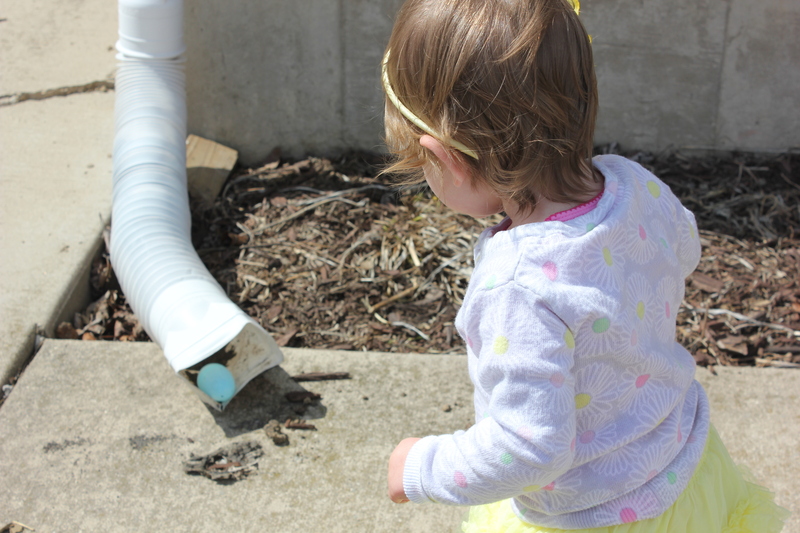 – this is a kid friendly event and will include a special “earth day project” kiddos are welcome to participate in). Green smoothees and green treats will be served! Watching… The Bible special on The History Channel! I am learning so much from it. I really feel like it has helped me understand the Bible better. I am such a visual learner that it helps me understand difficult stories (especially ones in the Old Testament) better. 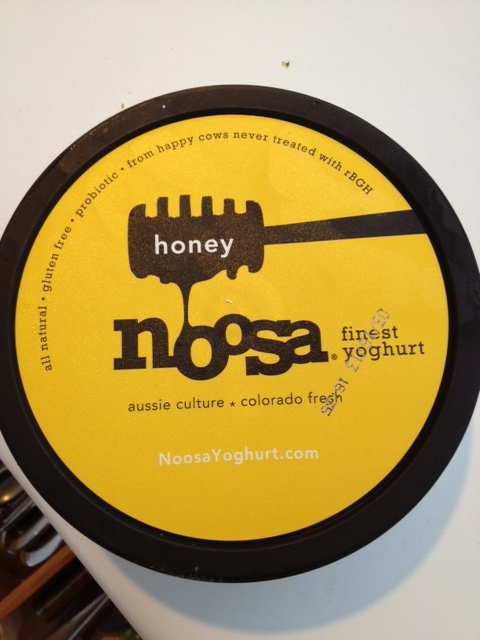 Eating… this amazing yogurt!! So so good-! You can find it at Target! Reading… What did you Expect? 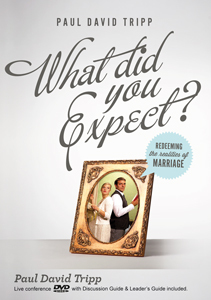 It’s a great book on expectations we have during marriage and how all marriage issues come down to one basic issue—OURSELVES. It’s been challenging and very good. Also have been reading, Girls Gone Wise in a World Gone Wild. Very challenging book on being wise in a world that pulls us away from what is truth. Loving our small group on Thursday nights as we discuss this book! Also reading Entreleadership by Dave Ramsey. I love Dave and he is so wise. Learning a lot as I enter this new world being an Entrepreneurial and leadership- very hooked on this and learning a ton! Inspired by…my husband who works so incredibly hard for our family. He has a lot on his plate and always seems to manage it all with such grace! He is way more disciplined than me, patient, slow to anger, hardworking, amazing dad, and am so blessed to have him as my hubberoni. He inspires me and often challenges me big time in my faith! Excited about…Several close friends of mine had/will be having their babies in the next few months. I am beyond excited for them and so blessed to be a part of their little ones life. Anxiously awaiting on Baby Jonah to get here! Spring is in the air which for many people means one thing is coming….ALLERGIES! As someone who has struggled with allergies, I feel the pain of having a non stop stuffy nose, itchy eyes, runny nose, scratchy throat, the list goes on. I’ve been tested for allergies and pretty much tested positive for everything you can think of…grass, mold, dust, cats, dogs, trees, pollen, the list goes on! Last year was one of the worst allergy seasons for me and also hardest because I could not take anything (due to breastfeeding). Thankfully, I have found great relief with Shaklee products and so have many of my family and friends have too (check out some testimonies below). 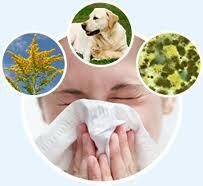 Avoid products that could aggravate allergy and sinus conditions such as certain foods and cleaning products. Many cleaning products not only irritate the skin, but their odors can aggravate upper respiratory problems. Fragrance is a huge source of irritation for allergy suffers. 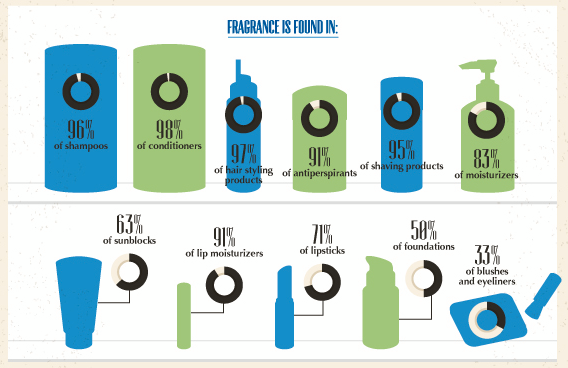 Fragrance is found in a ton of products, just see below. 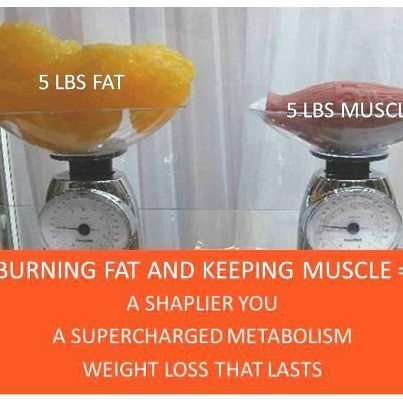 Change your diet. Diary, gluten, and sugar are a huge source of complications for the majority of people. Simply eliminating these three things and adding in more fruits and vegetables can play a huge role in your health! Diary and gluten adds lots of mucus and often causes people who have allergies to suffer worst symptoms. And we all know how harmful sugar is, but it weakens our immune system. For continuous antioxidant protection against environmental assaults, this unique all natural sustained formula slowly releases Vitamin C into your blood stream over a 5-hour period and provides nutrients from the entire Vitamin C complex including bioflavonoids. Vitamin C has been found to protect against smog, poor diet, stress, bruising, varicose and spider veins, chronic infection, allergies, asthma, cold, flu, swollen glands, anemia, colon polyps, and slow healing. Vitamin C, E, and B Complex are the most vitamin deficiencies and Selenium and Magnesium are the most common mineral deficiencies. Developed and extensively tested by immunologist in Japan, this proprietary blend of natural plant extracts is derived from pumpkin seeds, safflower flowers, plantago seeds, and Japanese honeysuckle flower buds. Nutriferon supports and stimulates the immune system by increasing the activity of macrophages (white blood cells) and inducing natural interferon products. It optimizes the body’s immune response against environmental irritants and airborne substances (as with allergies and asthma). Completely safe- no adverse reactions to these plant extracts recorded. With deep roots extending 10 to 20 feet into the soil, this amazing plant is rich in trace minerals and protein plus contains 8 digestive enzymes. Recognized as a natural anti-histamine, allergy sufferers report good results from take 3 to 4 of the little compressed sun-dried leaf tablets…containing no pesticide, fungicides, growth regulators, or synthetic hormones. Other popular uses for alfalfa are swelling, pain and stiff joints, ulcers, stomach ailments, hiatal hernia, water retention, grout, body odor, and bad breath! Scientist now believe 70% of the immune system is located in the gut…a good place to start to strengthen the immune system against allergic reactions. There appears to be a surprising correlation between symptoms of upper respiratory congestion and sinus discomfort due to poor elimination in the lower intestine. This is often associate with an overgrowth of Candida yeast organisms. An increasing number of Americans suffer from Candida when the essential friendly microbes Nature intended to reside in our intestines get destroyed by medications such as antibiotics, steroid based drugs (e.g. asthma medications), oral contraceptives, and more. Couple this with a diet culture so entrenched in sweets, breads, baked goods, chips, and snacks that are the favorite foods of the Candida organisms. Start with the Optiflora probiotic capsule….a patented technology that allows the very fragile probiotics to pass through the highly acidic stomach protected by a triple encapsulation so they arrive at exactly the right location in the lower intestines. Reducing Toxins in our environment! 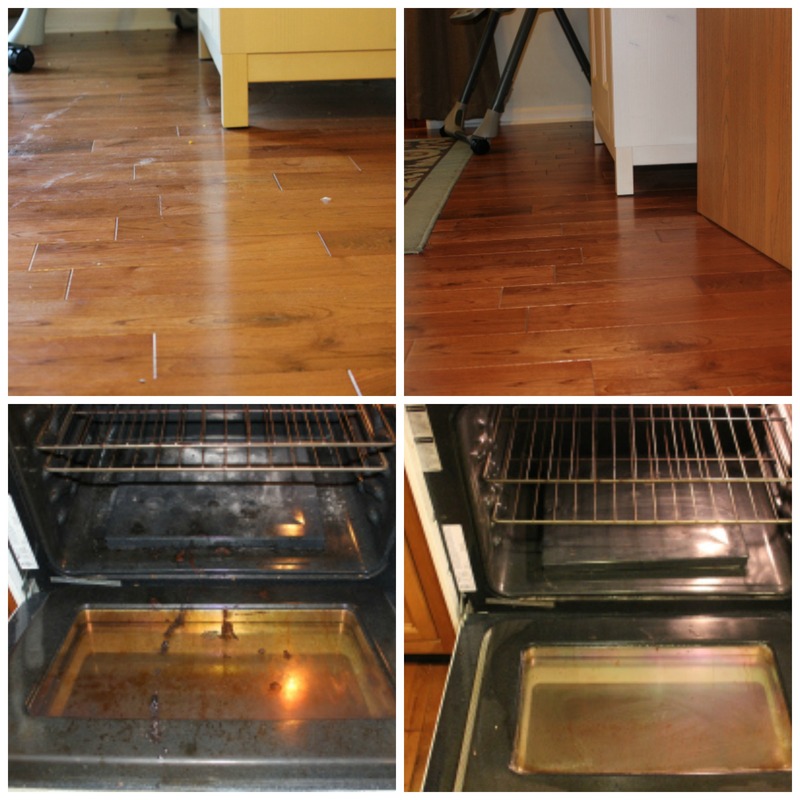 Make sure you are using non-toxic cleaners in your home. 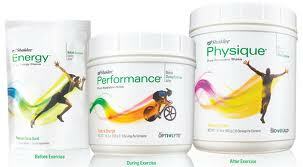 By simply switching to Shaklee’s Get Clean line many customers have found their allergies/asthma improve greatly. Many detergents as well as other household cleaners cause asthma-like conditions…did you know chlorine is a major offender? Simply changing laundry detergents can also help clear up skin issues including eczema. 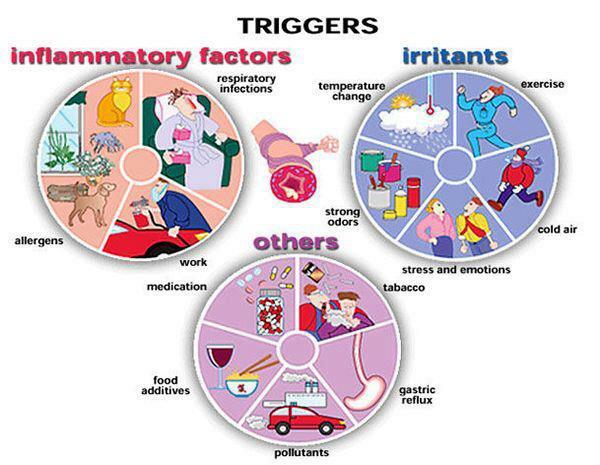 If you or someone you know has allergies and would like to set up a 3 way call with the Nutritionist on our team to learn more about natural solutions to allergies and asthma let me know! You have nothing to lose- all products are 100% satisfaction guarantee! Now is the time to prepare your body before you are miserable! Allergy/Asthma Offer: Purchase $50 of any of the following products I talked about and get FREE H2! Purchase $100- Get Free h2 with Spray Bottles! My son used to get skin reactions whenever he had diary, after he was on the shaklee supplements for several months his allergies/asthma improved so much. He can now even have diary (in moderation) back in his diet! I have been taking Alfalfa and NutriFeron for my allergies and asthma and have been symptom free since last summer! I take Alfalfa and NutriFeron. Got me off 4 meds and shots. Have to increase alfalfa on really bad days. My husband finally gave in to my suggestions about taking Alfalfa before he goes out to mow our lawn. I take a lot of Alfalfa for sinus aid as well as for general health. My husband used to have such a horrible time with the 2-1/2 acres of grass, weed, etc that he often had to stop and finish the next day or two. He takes Nutriferon and many other supplements each morning. Now he takes 10 Alfalfa just before he goes out to mow. He no longer has problems with those allergies. I have been asthma free for the last 7yrs. 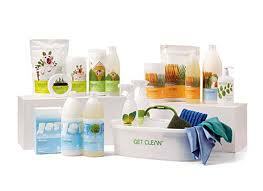 Get clean products are wonderful. Vitalizer, Nutiferon,and alfafa has helped with my seasonal allergies. No sinus infections in the last 2 years. I will have a flair up if we get to much rain (plant mold) I increase the alfalfa.